Interested in saving money on energy costs while keeping your home cool throughout the summer? Whitney Plumbing, Heating & Air Conditioning is a proud supplier of Mitsubishi mini-split ductless air conditioning systems and heat pumps. 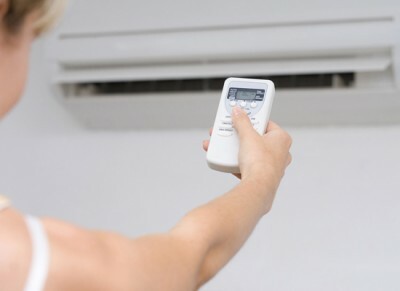 The ductless systems can also be used as a supplemental source of heat when the weather is cooler! Be cool and comfortable with an energy-efficient Mitsubishi ductless mini-split installed and serviced by the energy experts at Whitney Plumbing, Heating & Air Conditioning! Mini-split systems have one outdoor and one indoor unit that work together to release cool air efficiently throughout your house in the summer and warm air in the spring and fall. Its cooling function provides comparable comfort to central air conditioning at nearly half the cost and without the requirement of having ductwork in your home. We can also offer annual maintenance for your equipment once it is in your home to keep it running at peak efficiency for years to come. What are the benefits of adding a ductless mini-split system to your home? Learn more about Mitsubishi’s quality air conditioning and heat pump systems or contact us for a quote on adding this technology to your home!